See in Glossary profile. If another API is in use, the RenderDoc integration will be temporarily disabled until a supported API is enabled. See in Glossary and click the ‘Load RenderDoc’ option. This will reload the graphics device so you must save any changes, but afterwards RenderDoc will be ready to capture without having to restart the editor or build a standalone player. See in Glossary has not been opened, a new instance will be launched to show the capture, and if it is already running the newest capture will automatically appear there. 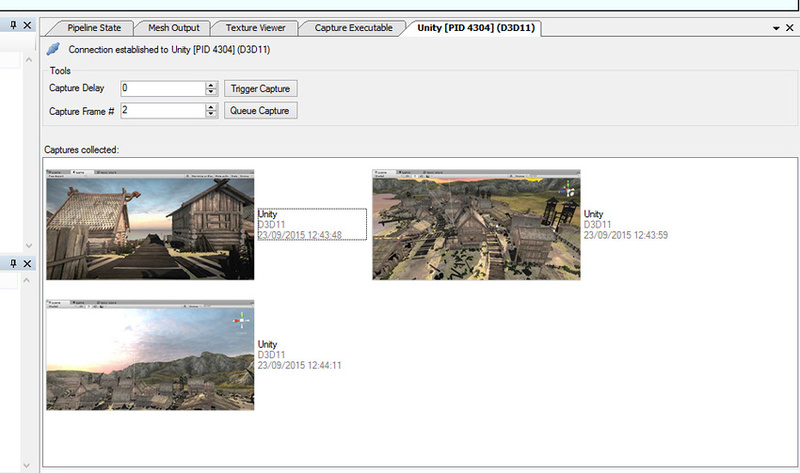 From there you can open the capture and debug using the tool.